Photo exhibition in Galerie Verhaeren, Rue Gratès 7, 1170 Watermael-Boitsfort from October 3 till November 4. Open Wednesday till Saturday, 2-6pm, Sunday 10-1pm. Opening on Tuesday, 2 November as from 6pm. 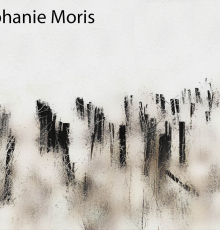 Cut off from meaning and evidence, Stéphanie Moris' works invite to a personal reading and refer to our own subjectivity. Certainties are shaken. Youth photos... taken with an old Asahi Pentax Spotmatic.